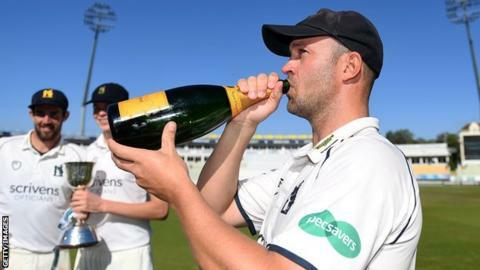 Former England batsman Jonathan Trott will join Kent's coaching team for this season's One-Day Cup. The ex-Warwickshire stalwart retired last year and will support head coach Matt Walker at Kent, who reached the final of the competition last season. Trott, 37, won 68 ODI caps for England and also won the domestic competition twice as a player in 2010 and 2016. "Their run to the final last year shows the squad here is one of the strongest in the one-day format," said Trott. "I'm looking forward to working with this talented group of players." Kent's director of cricket Paul Downton added: "Jonathan's experience in this format of the game will be a valuable asset to complement our coaching team here for the One-Day Cup." The Spitfires open their campaign with a repeat of last year's final against Hampshire on Wednesday.